Hello and welcome back to another update of Forgotten Hope. Today we have yet another advertisement for a Forgotten Hope 2 campaign, this time from Forgotten Honor. We are also pleased to announce that the Master Query Server at Gamespy is fully functional again, so you are able to see all Forgotten Hope servers in your browser again. Imagine Forgotten Hope 2, with every player fighting for his team and not his personal score. A game where every player communicates with his squad and where all squads are striving to achieve goals given to them by the High Command. This is Forgotten Honor. Each Friday a 64 player battle will take place. 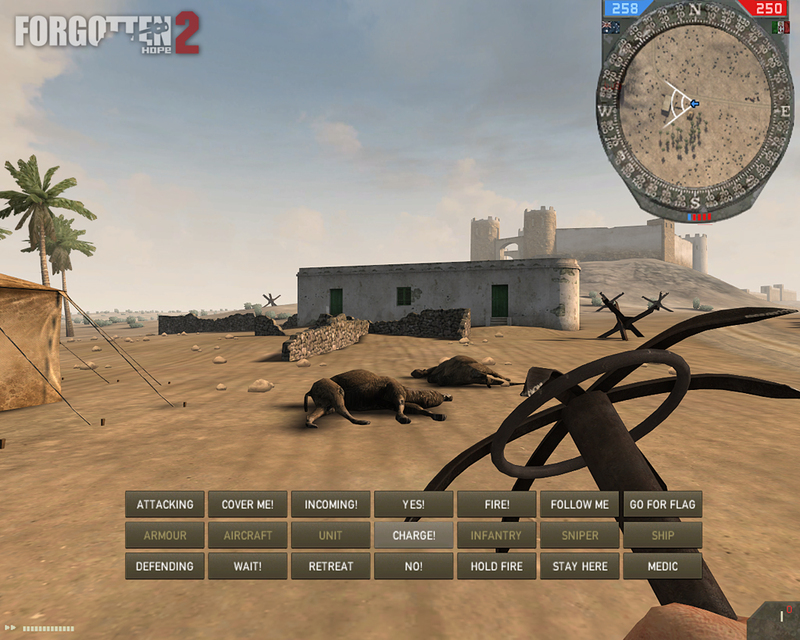 The sides of the conflict are organized in two 32 player teams, with command structure based on actual World War II units. No previous experience is needed and everything is completely free. Just click on the picture, join and enjoy Forgotten Hope on an organized level. This campaign will go where none have gone before. We will start on the green, hilly terrain of Greece and Crete before following the withdrawing British forces to Africa. The maps will be more "infantry friendly". Each week a new map will be released and each of them will be made with hours of historical background digging, balancing discussions, testing and of course loads of hours of mapping. Don't miss it, click on the picture below and join the fight! That's all for this week, but be sure to come back next time for another update. Hello, we have a small announcement today regarding the problems with the in game server browser. Since Wednesday the 17th of September you might have noticed a whole lot of Forgotten Hope 2 servers have gone missing. They are actually still online, but due to a problem with the Gamespy Master Server Query they are not being shown in the in game server browser or in the toolbox. 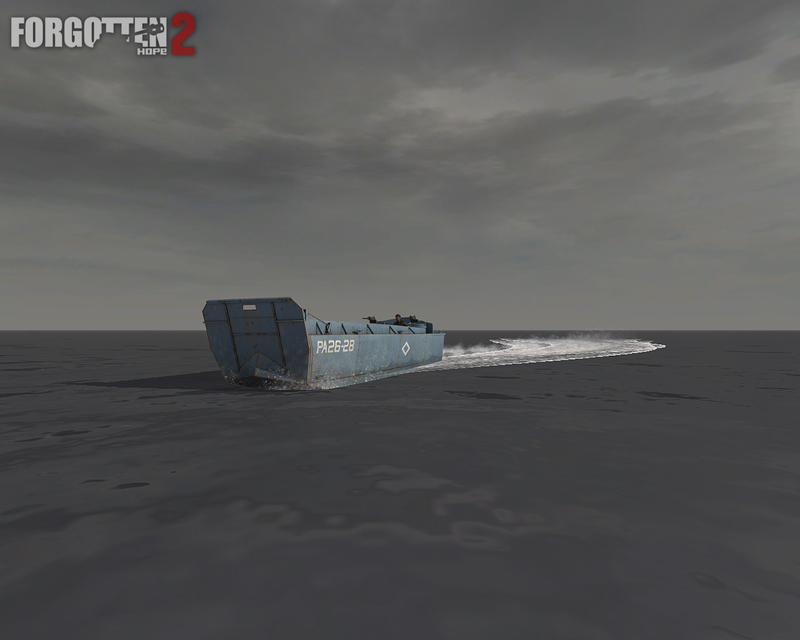 This problem not only affects Forgotten Hope 2, but all games and mods using Gamespy. This includes both Battlefield 2 and Battlefield 1942. Gamespy is aware of the problems and is working on fixing it, so let's hope everything is back to normal soon. In the mean while you can still join these 'invisible' servers by connecting to their IP, which you can find on such websites as game monitor. We would like to use this small announcement to show you a recent interview of our developer Jodonnell by Noesis Interactive on ModDB. You can find the interview on ModDB here or watch it below. Hello and welcome back to another update of Forgotten Hope. 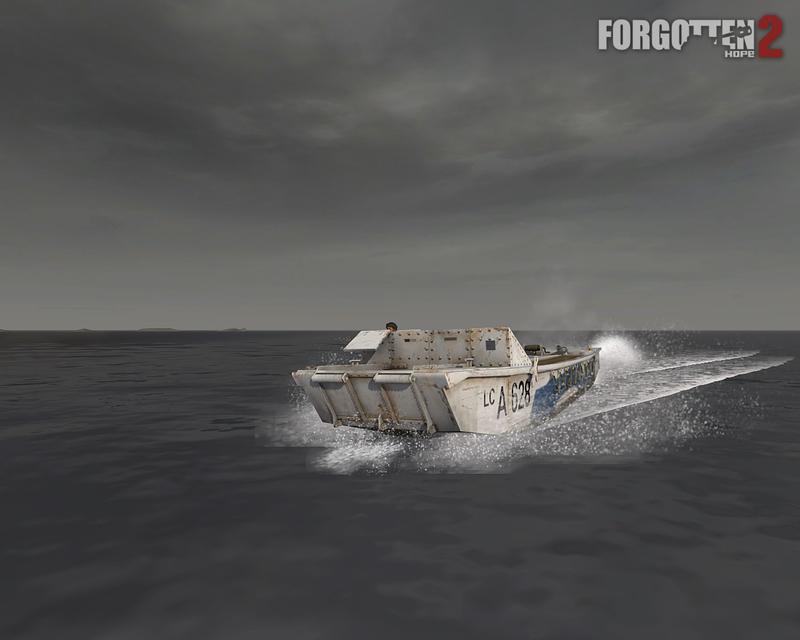 This week we have a render of an American sub machinegun and in game screenshots of an Italian vehicle you might remember from Forgotten Hope 0.7. Finally, we will end today's update with a message from the World At War tournament about the start of their latest compaign. Before we go on to the pictures we would first like to welcome German Bratwurst to our development team. As a beta tester German Bratwurst has already added many sounds to the current versions of Forgotten Hope 2 and this week we have finally decided to officially add him to our staff list. Welcome! 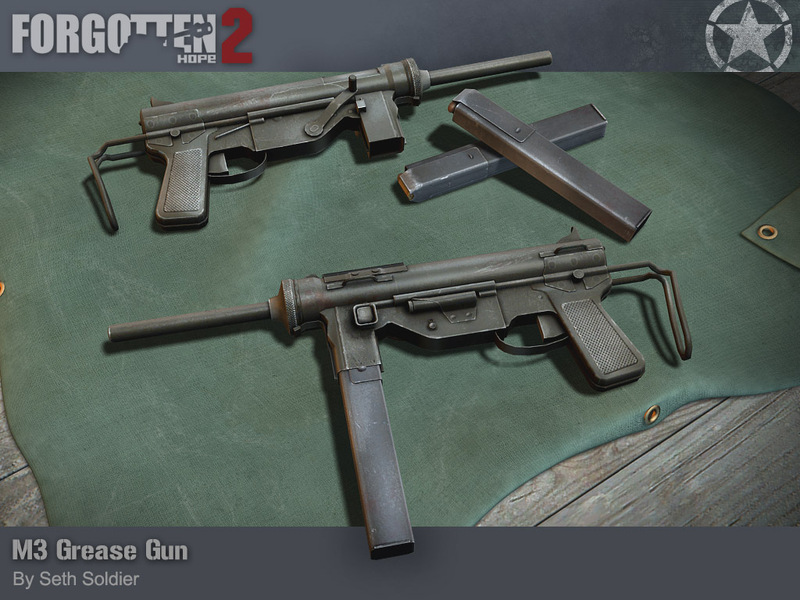 First up today then is the American M3 sub machinegun, also known as the 'Grease Gun', made by Seth Soldier. The M3 Grease Gun was, much like the British Sten, designed as a simpler, cheaper replacement for the Thompson sub machinegun. It used the same .45 caliber round as the Thompson, but it could easily be converted to use 9mm rounds, as used in the Sten and MP40. Despite it being cheap to manufacture, it was a generally reliable weapon and thanks to its low rate of fire it was easy to control. The M3 has a rate of fire of 400 rounds per minute, while other sub machineguns had much higher rates. 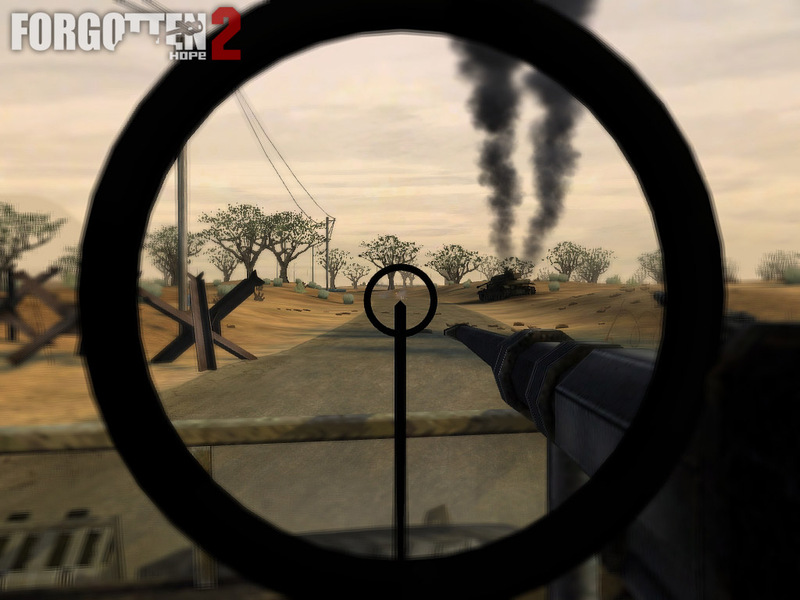 The sten and MP40 have 500 RPM and the M1 Thompson 650 RPM. At the end of World War 2 600,000 Grease Guns (both M3 and M3A1) were made. Next up is the Italian Sahariana, armed with two Breda 37 machineguns and a 20mm Solothurn 18 anti-tank rifle. 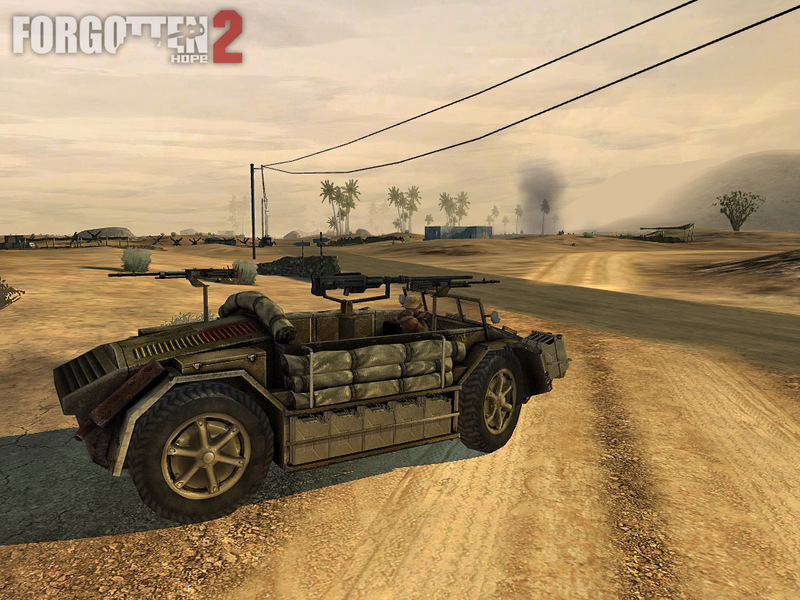 This vehicle was modeled for Forgotten Hope 0.7 by Montoya and upgraded to Forgotten Hope 2 standards and coded by Jodonnell, Gunnie, Ctz and Rad. 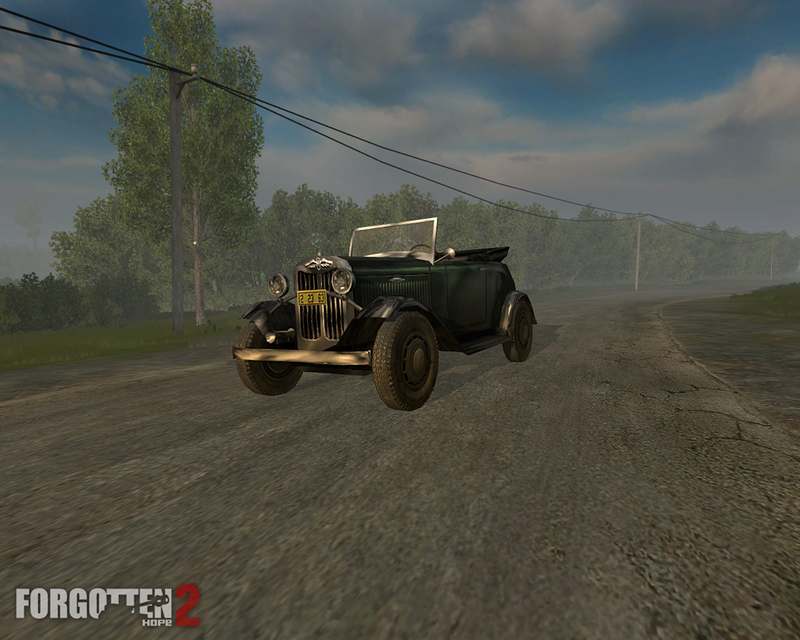 You will be able to find this vehicle on the map Mareth Line in Forgotten Hope 2.15. Looking for organized play? Tired of the same old random battles on public servers? Looking for brand-new custom FH2 maps that take you out of the desert sand and into the grassy hills and plains of europe and the Mediterranean? Looking for a community of gamers from around the world who will challenge and respect you? Look no further than World at War. World at War is kicking off their 17th campaign, and we want YOU to be a part of the number one tournament for Forgotten Hope 2. The World at War Tournament has been producing the best team play on the Battlefield platform for over six years. 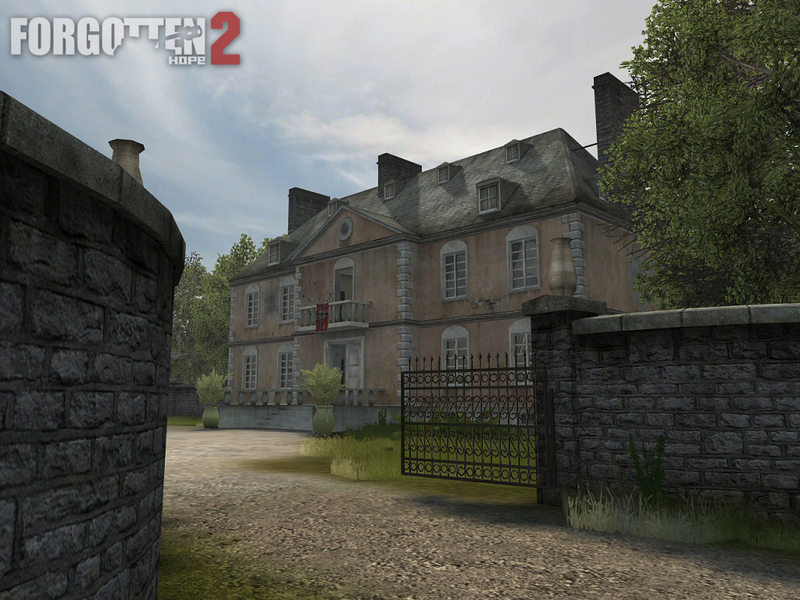 With two campaigns of FH2 under it's belt WaW has a lot of experience in preparing fun and challenging maps for tournament play by an experienced map team. 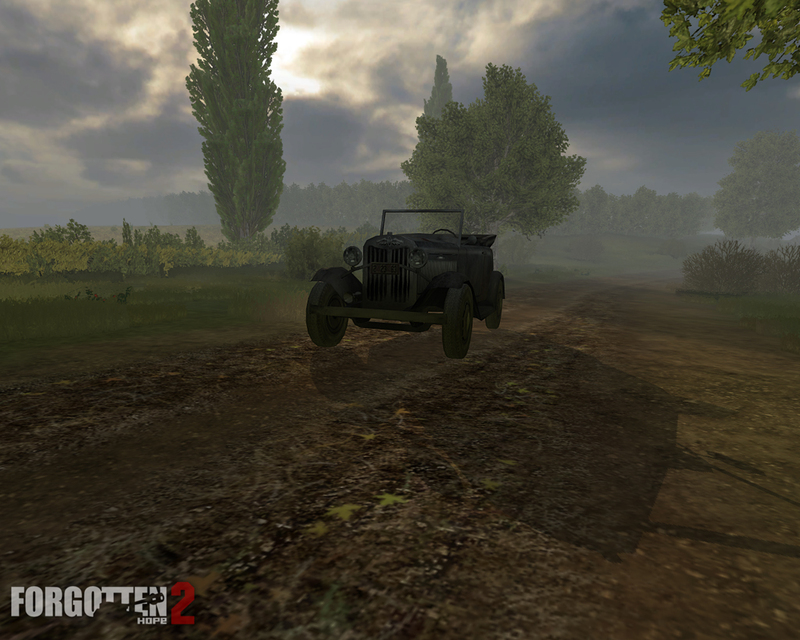 The seventeenth campaign will see the German forces of the 53rd Panzer-Korps-Division "Gro�deutschland" face off against his Majesty's 54th East African Infantry Division. Both divisions feature experienced and dedicated officers that have worked their way up the ranks and are ready to lead you into battle. Will you be fighting with defending champions of the Reich or will you turn the tide and bring victory to the Empire? Massive 11-hour 64-player engagements every Saturday. Battle when you can, leave when you have to. Organized engagements allows you to play the game the way it was meant to be played. Fight as part of the entire war effort by capturing and defending territories that have an effect on the campaign outcome. 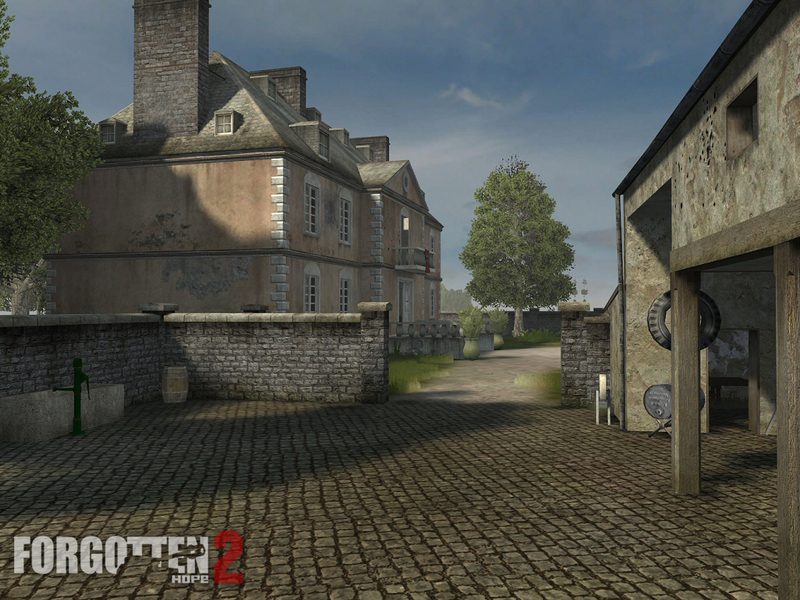 Follow the progress of the war using the new and improved battle map. Take part in battles that are pivotal to leading your team to victory. A new and enhanced score system means that every round of the battle will count making for very close end exciting battles, right down the the last round. Coordinate with your company buddies on the battlefield using TeamSpeak 2 technology. A microphone is preferred but not mandatory. A thriving community of diverse gamers, including players from around the world. Start as an enlisted soldier and work your way up the historical rank structures to fight and lead as an NCO or even an officer. Work as part of a unit complete with a chain of command. Earn badges and authentic medals and make your mark on WaW history. Intuitive strategies and battle preparation make the World at War tournament like no other. 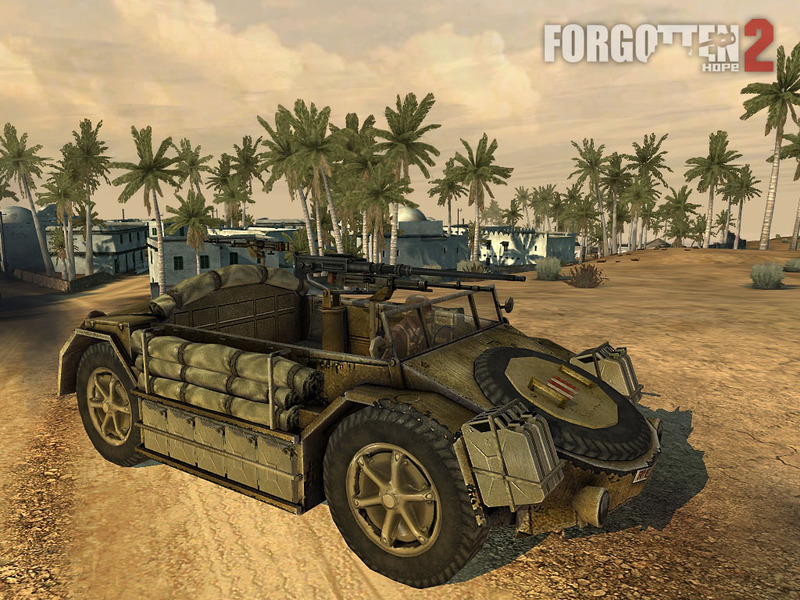 Best of all: WaW is completely free! Hello and welcome back to another update of Forgotten Hope. 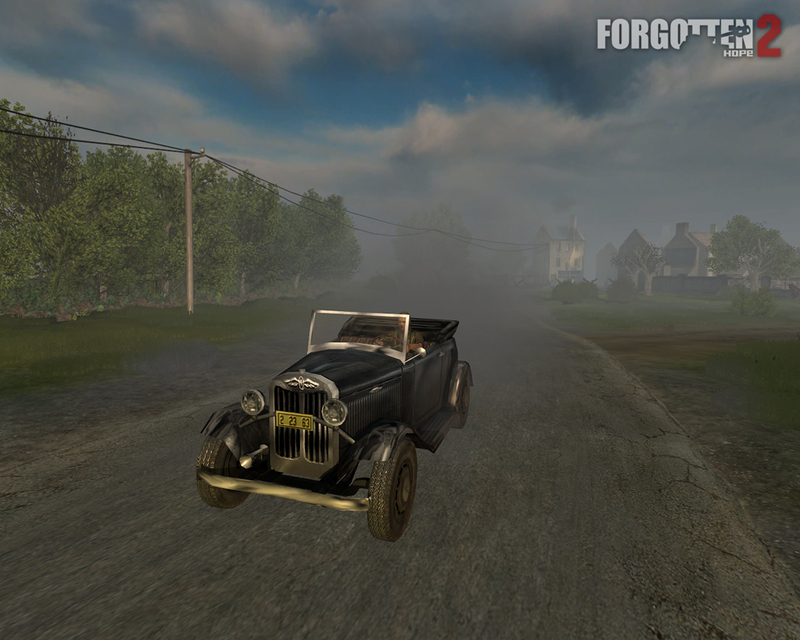 This week we have some news regarding the upcoming 2.15 patch and some in game screenshots of a car you might remember from Forgotten Hope 0.7. 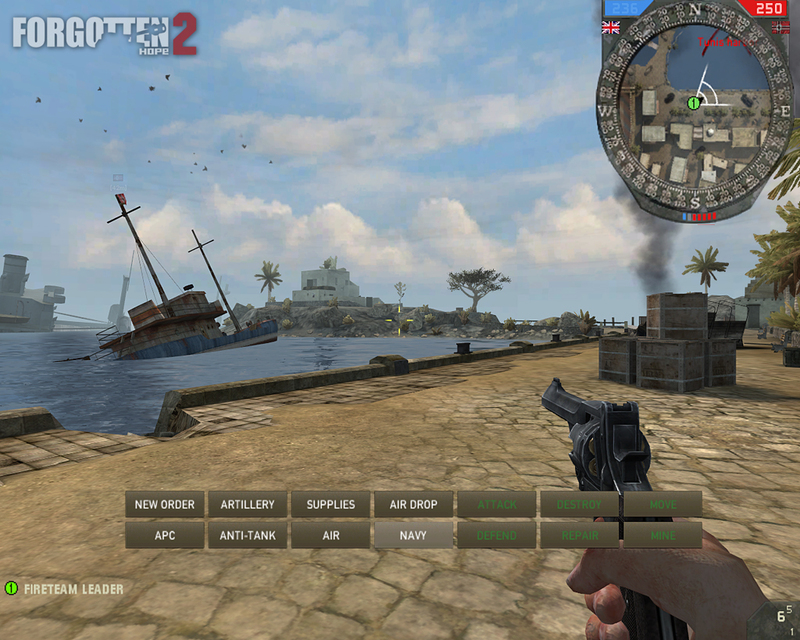 First up today we have two screenshots of what our new communications-HUD looks like. Now the HUD itself isn't all that special, but the reason we have a new HUD is. In patch 2.15 Forgotten Hope 2 will be using the voice commands from Forgotten Hope 0.7. This not only means that all the modern military jargon from the Battlefield 2 voices will be gone, but it also means that we will have Italians speaking Italian and even Australians with Australian accents! The converting of the voices and the work on the new HUD was done by ctz. 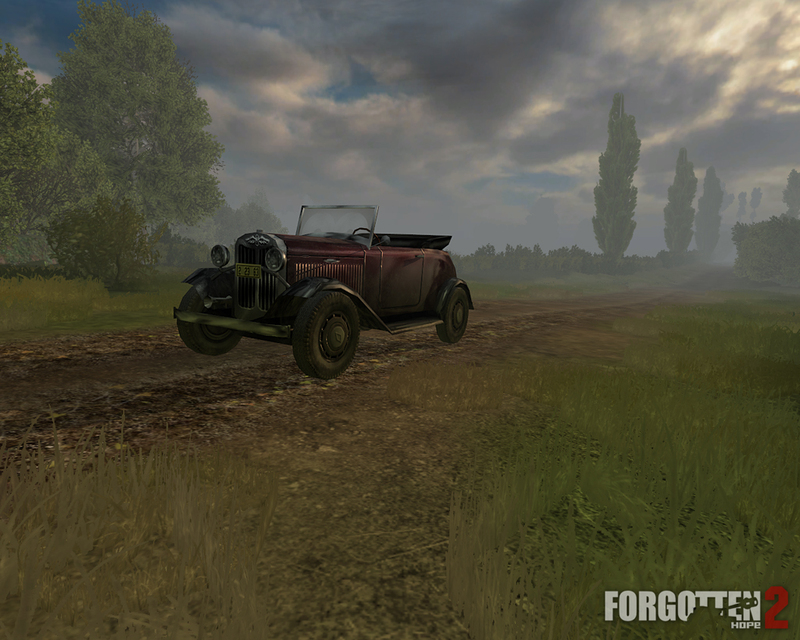 The other item we have for today's news is the old Opel Coup� you may remember from Forgotten Hope 0.7. 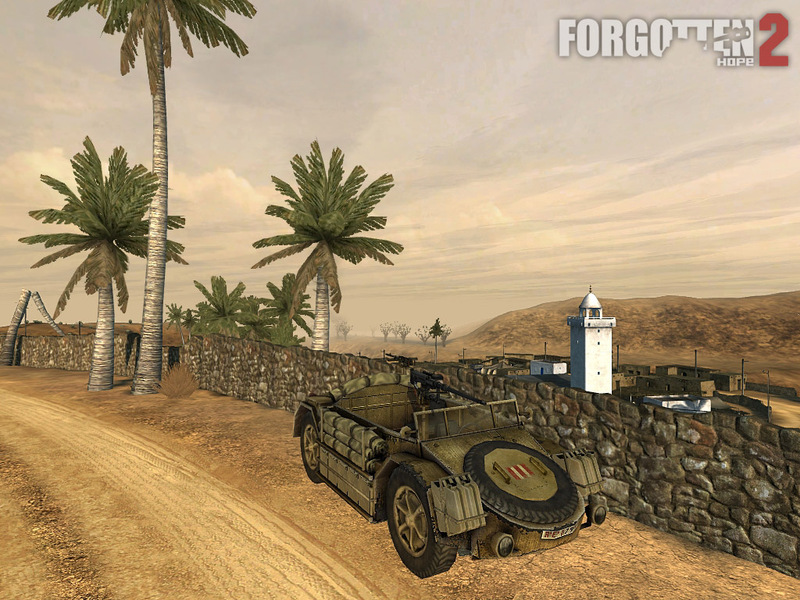 The coup� was made by Mange, Rad and Lobo and was converted to Forgotten Hope 2 by ctz. Hello and welcome back to another update of Forgotten Hope. Today we have some great in game screenshots of our Normandy landing craft and a beautiful French Chateau, but first we would like to show a render of the new American M10 Tank Destroyer. The M10 was modeled and skinned by Agus. 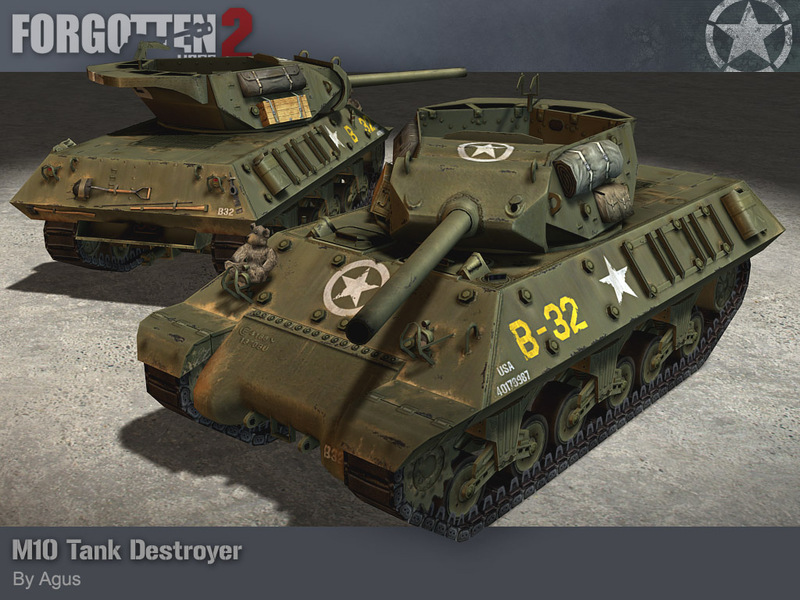 US tank and anti-tank doctrine in World War 2 called for two separate classes of armoured vehicles; slow tanks to support the infantry (such as the Sherman) and quick tank destroyers to take on the enemy tanks (such as the M10). The M10 was in this respect not a very good design. Its 3 inch (76.2mm) gun was only a bit better than that of the Sherman and while significantly faster, not manouvrable enough to function in its intended role. When first used in combat during Operation Torch it proved to be an adequate measure against most German tanks, but against the Tigers and Panthers in Normandy it had little success. 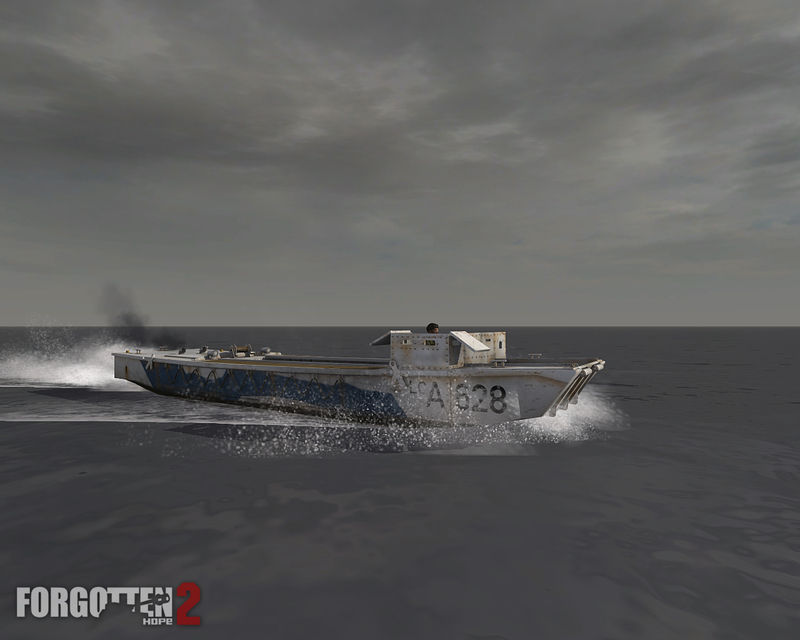 Next up are some in game screenshots of the 2 infantry landing craft you will be seeing on our Normandy beach maps. 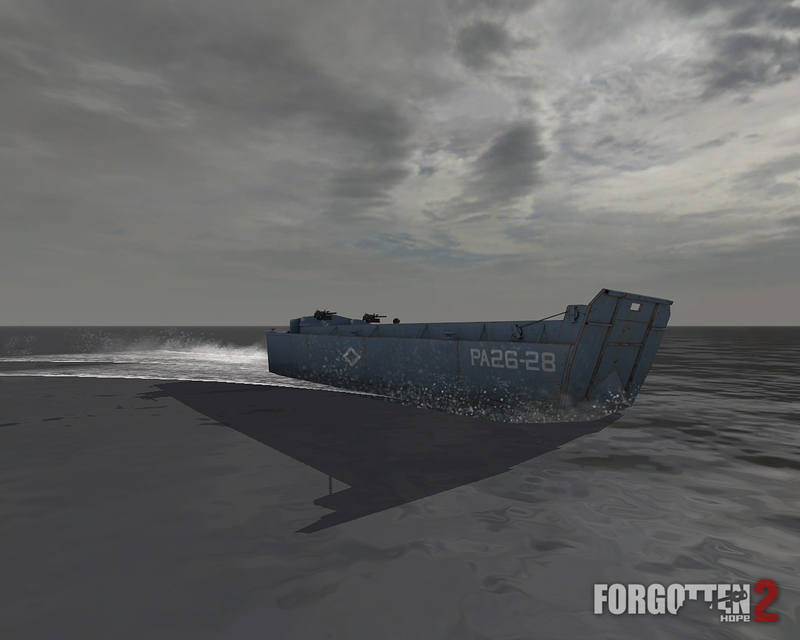 The LCA was made by Toddel and coded by ctz, the LCVP was made by Remdul and coded by Gunnie. 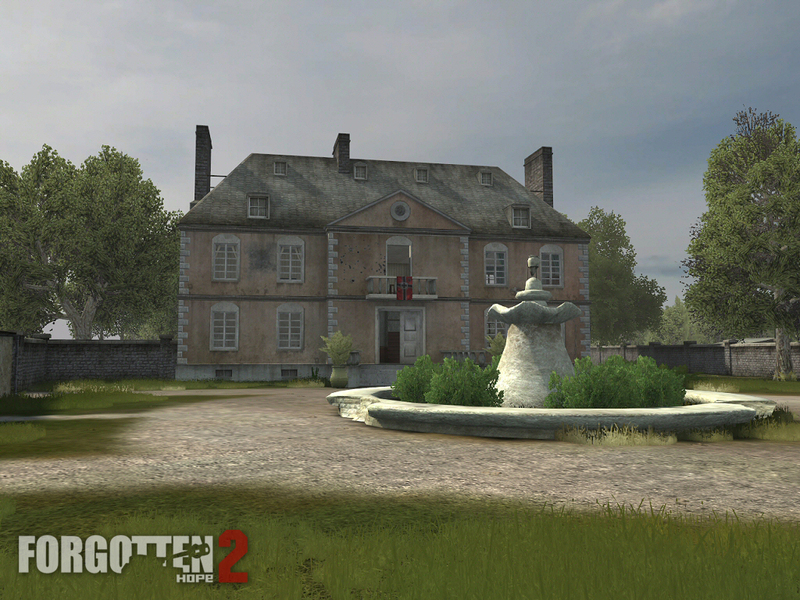 Finally we have this beautiful French chateau, made by Toddel.